One of the things I learned when starting to make my own beauty products is that using natural ingredients doesn’t just get the bad stuff out, it gets a lot of AMAZING stuff in. Tallow is the perfect food for skin, gelatin (taken both internally and applied directly) strengthens hair, and turmeric – well, it has a ton of benefits. Several studies have suggested that it is highly beneficial for oral health. This study found that it had a positive effect on gingival inflammation, while this Journal of Natural Biology, Science & Medicine review concluded that it can be beneficial for dental pain. So, are you ready to give this natural approach a try? Good! Now, a quick heads up, Your toothbrush will be stained yellow after this. Personally, I don’t mind – I’d rather have white teeth and a yellow toothbrush than vice versa. Also, turmeric tastes much better in a wellness shot than it does as toothpaste, but I do love the results. Wet your toothbrush and then dip it in 1/8 teaspoon turmeric powder. Brush teeth as normal, but instead of rinsing when you’re done, allow the turmeric to sit on your teeth for 3-5 minutes so it can do its magic. 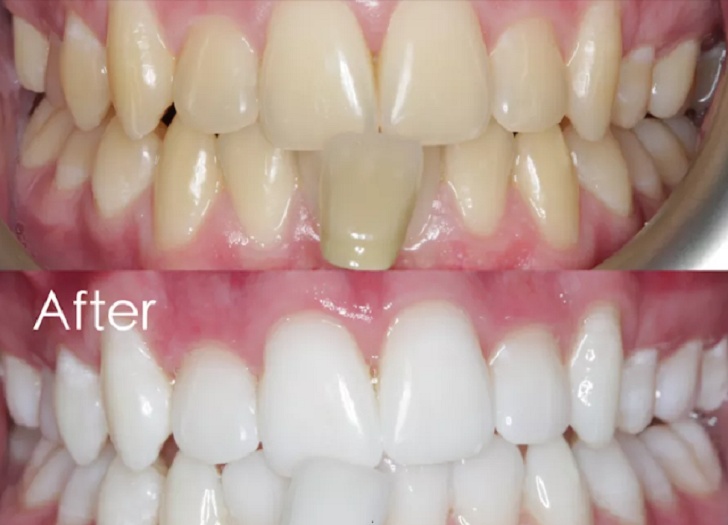 Spit and rinse thoroughly, then follow with a second brushing using your regular tooth powder/toothpaste. If you notice any yellow around the corners of your mouth, wash with soap and it will rinse away. 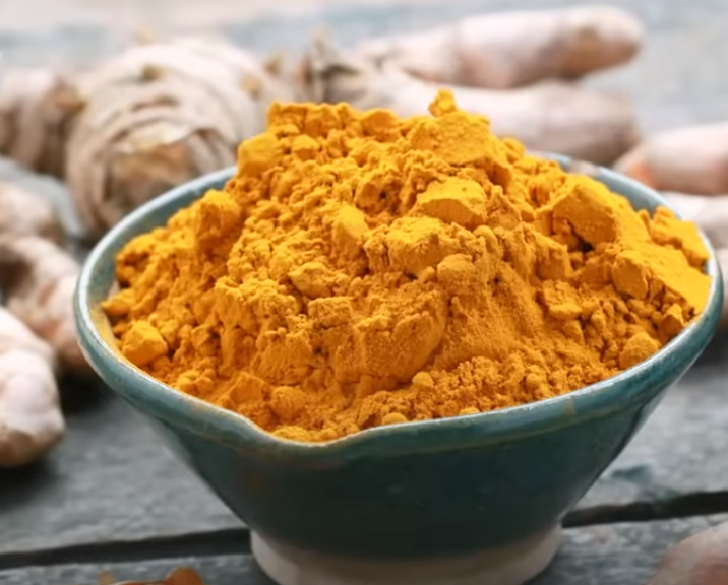 Likewise, if any turmeric powder is left on your teeth or gums it will cause a slight yellow tint, but when the turmeric is fully rinsed away you should notice a brighter, whiter smile. I personally think this homemade tooth soap is the most effective at removing the turmeric so you can see the results underneath. Dip your toothbrush in the paste and brush teeth as normal, but instead of rinsing when you’re done allow the paste to sit on your teeth for 3-5 minutes so that it can do its magic. Clean your sink if needed. Depending on how absorbent your surface is it may stain if left to clean later.